Last month I entered the TravelSupermarket.com Worldwide Wardrobe Competition. 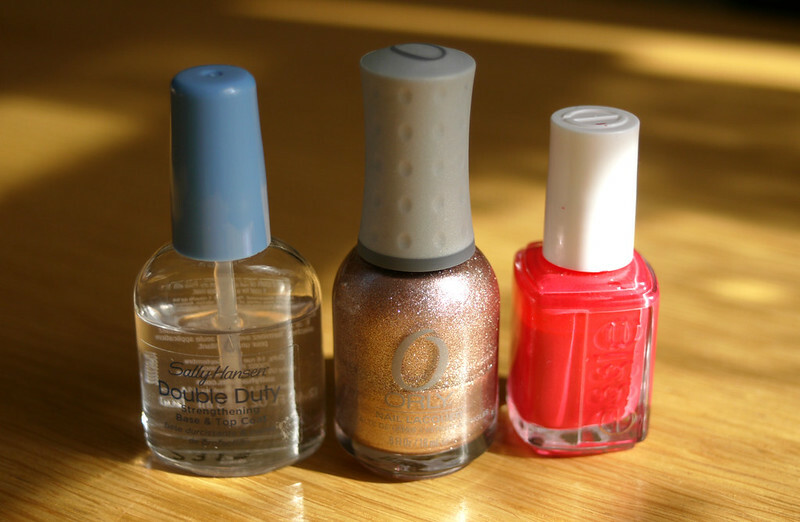 I then read about their Beauty and the Beach 2 competition and I immediately tried to come up with ideas for each category, Nails, Hair and Make Up. I wanted to combine all three categories to create an overall look. The look that I came up with is something that I like to call "Modern Beach Pin-Up". When thinking of ideas, my main aim was to create a look using long lasting products that contain SPF so that the look can be worn during the day and quickly adjusted for a night out. 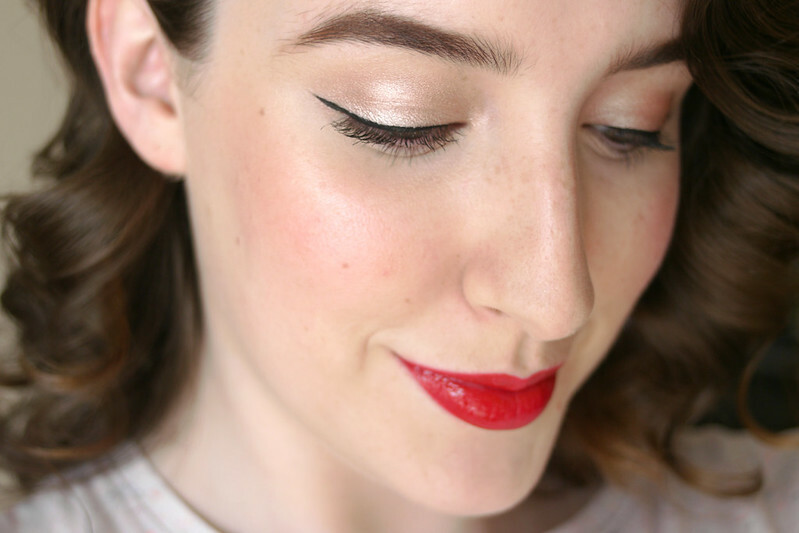 I started with Clarins Beauty Flash Balm as a primer, this is a step you don't necessarily need, but it's nice if you're just wearing the make up for a night out. If you need to during the day you could wear a primer to help your make up last longer depending on your skin type. 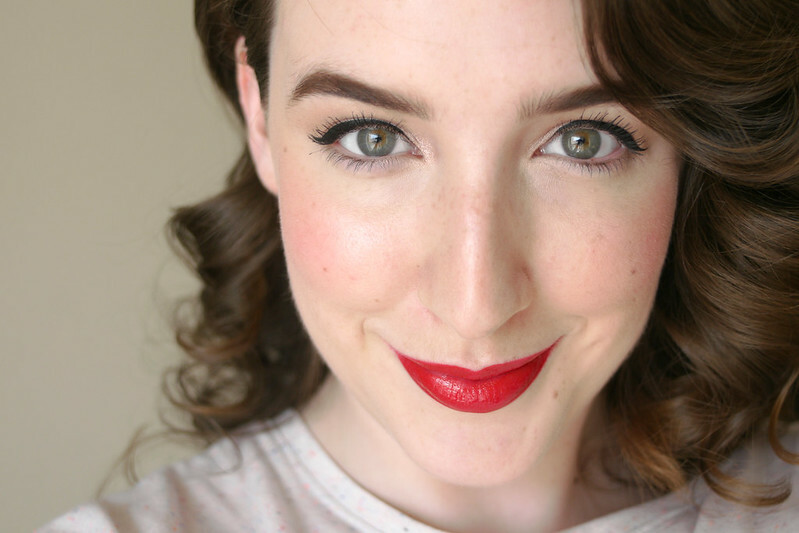 I then used Double Wear Light foundation because it has SPF 10 so you could wear it during the day as it's a long wearing foundation and I know from experience that it is amazing for hot days. The SPF isn't too high so if you wear it at night you won't get flashback in photographs. I did my brows using a brow brush, some matte dark brown eyeshadow and clear mascara to hold them in place all day. For eyes I used Urban Decay's Primer Potion in the colour Sin as it's a long lasting product that doesn't crease. You could wear it alone during the day with just some mascara if you wanted a low maintenance make up look for the beach. I added Sin and Virgin eyeshadows from the Naked palette and some waterproof eyeliner for a more glamorous evening look. I finished the eyes by curling my lashes and adding some Maybelline waterproof mascara. I used a cream blush and some highlighter on the tops of the cheekbones to give a nice subtle glow and define the face. I dusted some loose powder on my T-Zone to avoid my face looking shiny in photographs, but it's not necessary if you have drier skin. For lips I used some red lip liner and a gorgeous Revlon lipstick on top, but because this is a fun holiday look, I added a pink gloss on top to give the lips a gorgeous high shine finish. This gloss also has SPF 15 so it's great to wear during the day as we often forget to protect our lips from the sun (well I know I do anyway). When it came to hair I wanted a style that would be quick and easy to do. This whole style took me under thirty minutes and looks great the day after too. Starting off with "beachy waves" or in my case my natural hair, I had already used an all in one treatment which included heat protectant. 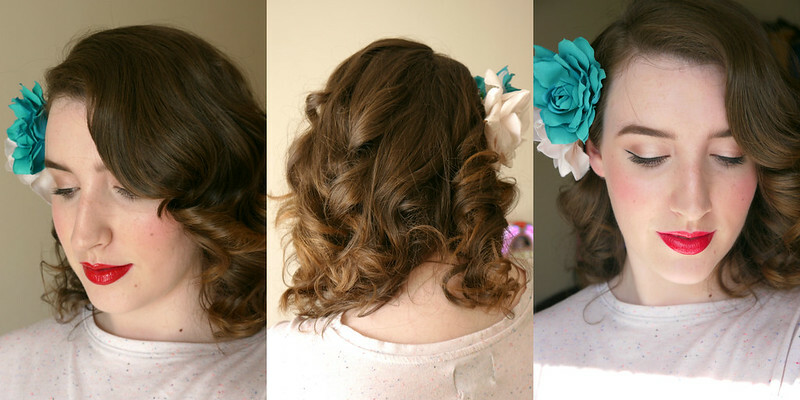 I used a 25mm curling iron pulling the hair away from the face rather than towards or under, you can be as random or as particular as you want depending on the type of curls you desire. I was going for a more defined, retro Veronica Lake inspired curl so I used the curlers at the highest heat setting. This also helps the curls last longer. I then sprayed some hairspray on my brush and brushed out the curls to make them less like ringlets. This gives gorgeous soft sweeping curls and the hairspray on the brush helps them to stay nice and smooth and avoids frizz. 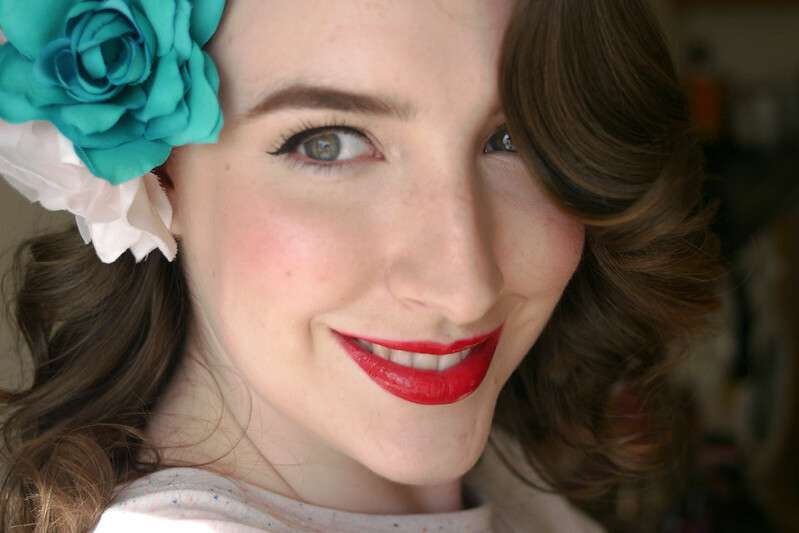 I parted my hair with a deep side parting and added some large flower clips to one side of my head. 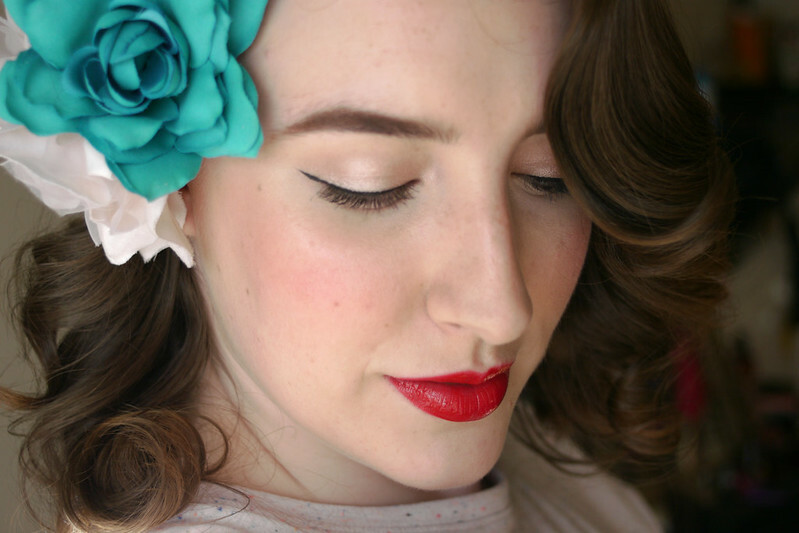 You could correspond the flower to your outfit or just wear the curls without any accessories. 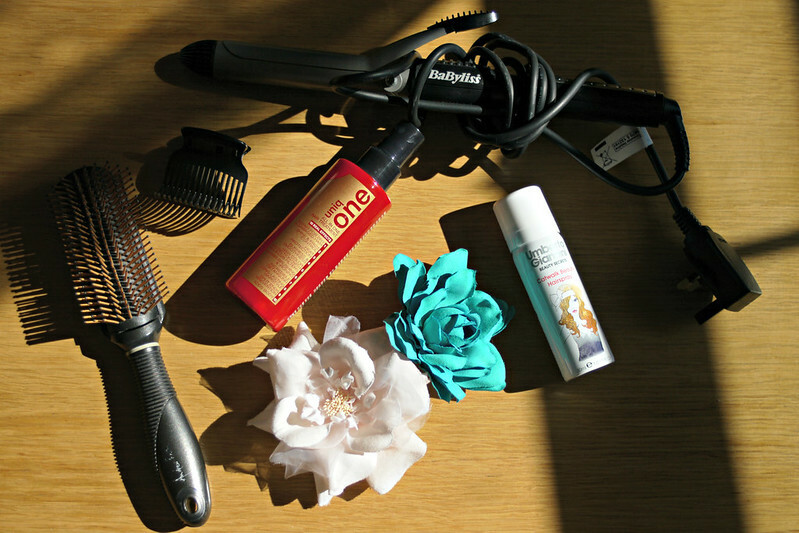 You can bring the small travel size hairspray out with you for touch ups too if you need to. 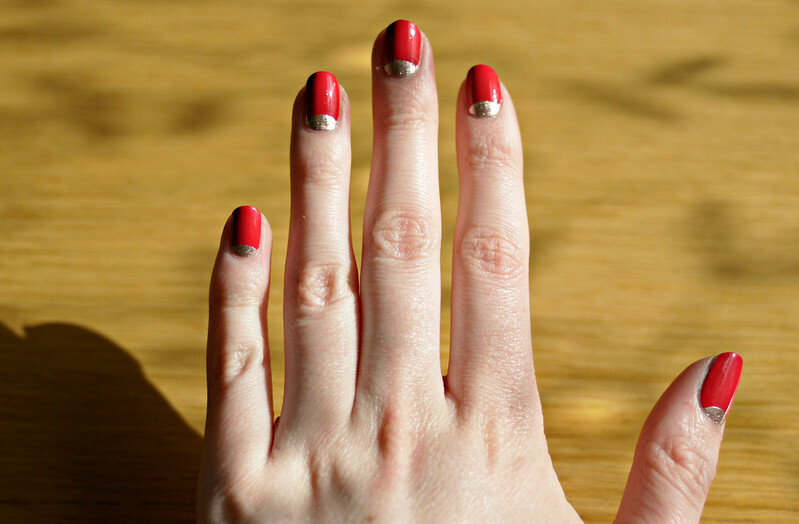 For nails I wanted to continue the retro theme so I gave myself a half moon manicure with a twist. After base coat I used a rose gold polish and then added the reinforcement rings and painted a second coat with a pinky red shades. The rose gold peaks through and is really eye catching in the sun. I also thought it was nice that the nails mirrored the colours I used in my make up look. What do you think of the looks I created? Is is something you would wear on holiday? You can enter all three categories for the chance to win the overall prize of £1500 and there is a prize of £500 for each of the three categories individually. The competition is open until June 5th and you can find out exactly how to enter here. Please let me know if you decide to enter so I can see your looks! I had so much fun creating my entry. I know I have little reason to comment, dear Emma, but I had to let you know that I have never seen you look this lovely before. The brands you're using and the shades you're selecting are perfect for you. Smashing! I hope your week is off to a great start, dear friend! Thank you so much Tom, it means a lot that you take the time to comment, I know make up is of no interest to most men! My week has started off very well thank you, I hope yours has too! Emma, this is PERFECTION. I would love to be this glam on holiday but I rarely wear much makeup when I'm away or it would be all down my face in seconds. 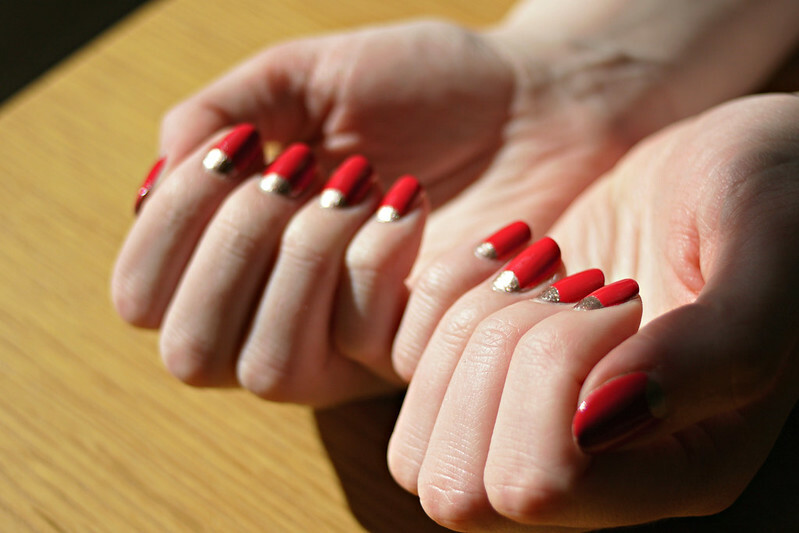 You look stunning, love everything you've done: the nails! The flower! Those lips! Thank you Emma! It was so much fun, any excuse to do my hair, nails and make up! Thanks Rebeka! I rarely do nail art, but I think I might try it more, I really enjoyed doing it! Ah Emma I adore all of this, everything! Beautiful, beautiful, beautiful! Thank you! 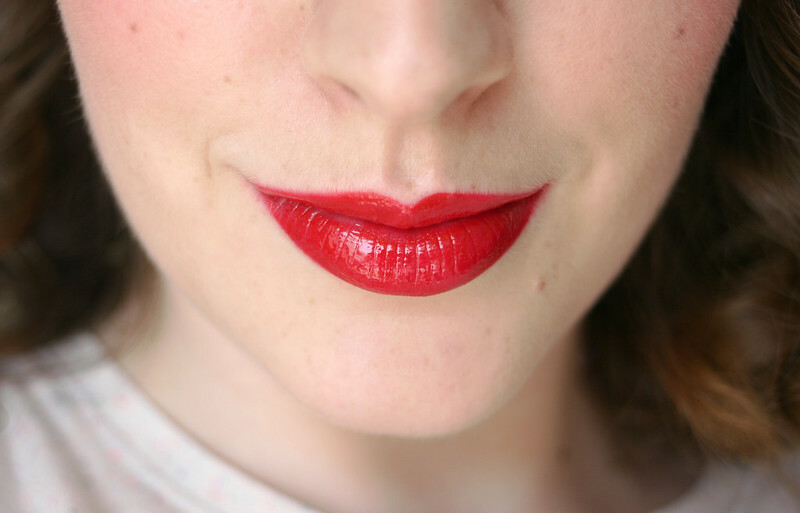 There's nothing like a red lip! Thank you so much, really glad you liked it. 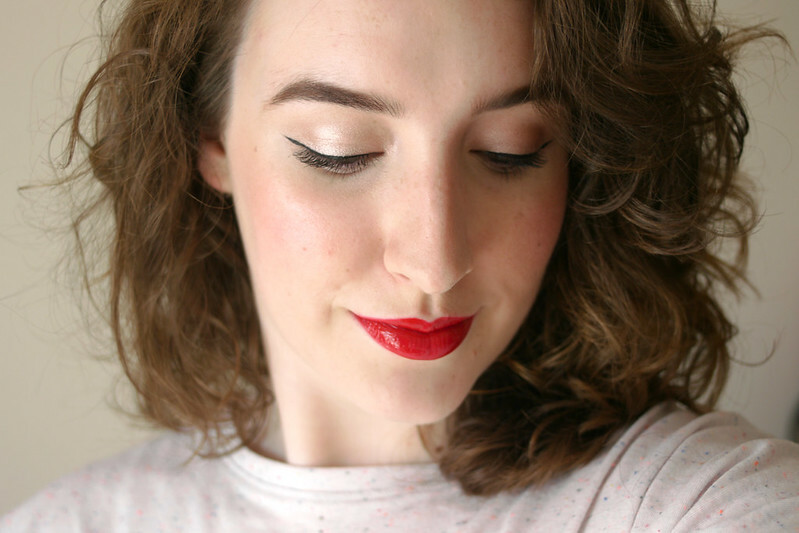 I adore Sin combined with a red lip, it's such a great neutral shade! The pictures, makeup, your writing, everything is beautiful! Thanks Emma!! 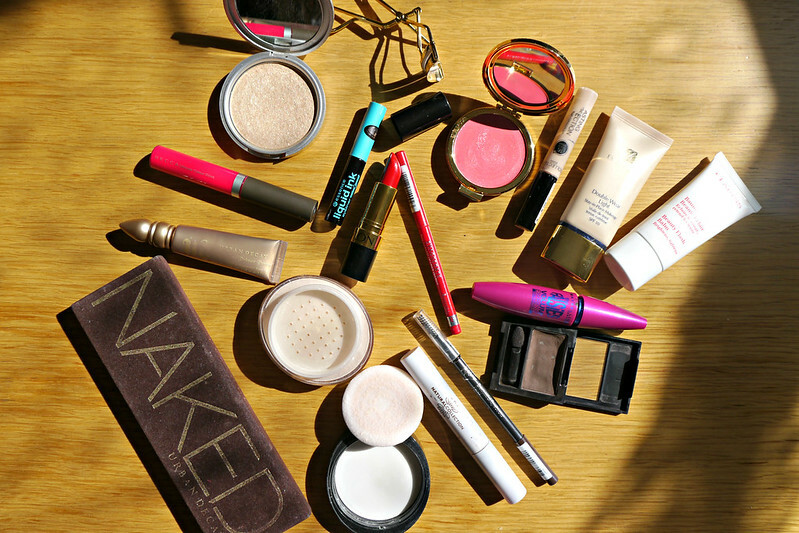 I did not like to go to saloon all the time, that’s why I am looking some tips of makeup which I can use on daily basis. Your ideas of makeup are superb and will use surely. Thanks so much. Will You Put My Hands Away?